I had the absolute pleasure of collaborating with four other Nashville creatives on a Senior Styled shoot in June! Over the last year, my passion for working with Seniors has continued to flourish. It is such an exciting time in their life, graduating High School & preparing for college; closing one chapter & opening a new one, I feel so honored to be a part of it. 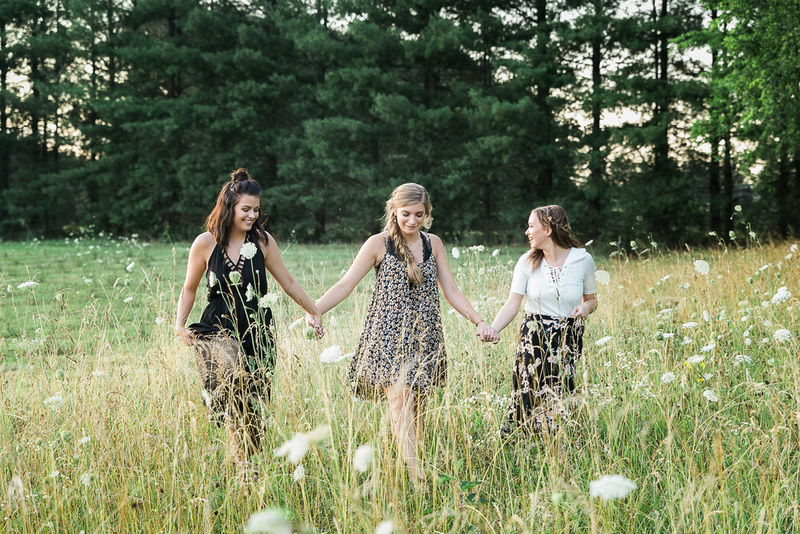 What better way to spend more time with these girls than to plan a styled shoot!? The vision for this shoot started with a visit to Country Cove Tree Farm in Mufreesboro, TN, in 2014 when we moved into our house & I wanted to have my first "real" Christmas Tree. Don't be fooled by their title, Country Cove is much more than a tree farm. 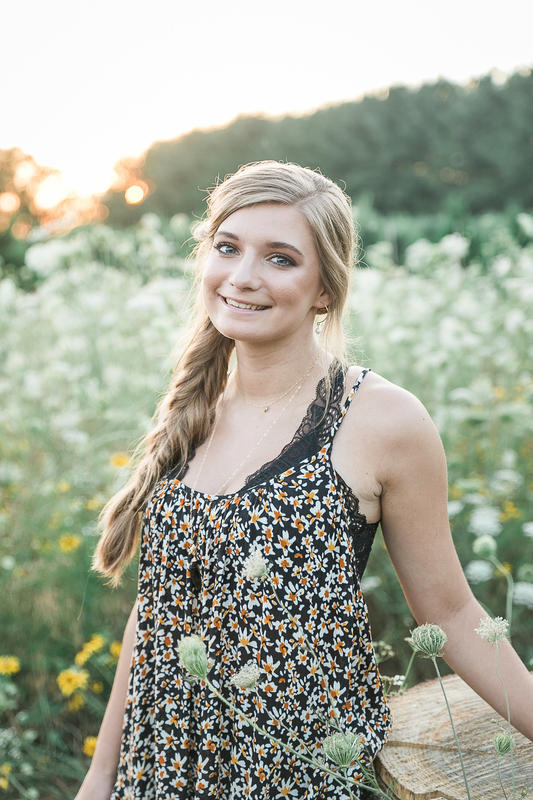 They offer a variety of options for taking family photos here; from wildflowers, wheat grass, & fields- you simply can't go wrong! Simone Starr, the oh so talented hair & make-up artist that helped a few of these girls get ready for the shoot! She is the current Manger at Blowout Co in Brentwood, TN but also loves to do freelance work! Her passion is to enhance people's natural beauty and making them feel beautiful. I can speak first hand to her talent, (as she did my hair/make-up for my own engagement photos) her kind heart, and how relatable she is. Fig & Olive Art, by Lauren Gay, is the company that created the signs that you see throughout this shoot. The "Senior" banner as well as the two-sided hand crafted wood sign that said "Let the Adventure Begin" and "Young & Free" add such a fun & light-hearted feel to this session! Fig & Olive Art creates hand-lettered signs for weddings, parties, birthdays, & everything in between! Each piece is hand-made with love in Franklin, TN. Lauren Antoinette Designs, by Lauren Isbell, is classic, made-to-order jewelry, with a dainty soul & modern edge. She has been creating jewelry for 10 years and believes that unique, beautiful jewelry should be created one piece at a time, with careful attention to details. Each piece is handmade by Lauren here in Nashville, TN & is made with 14k Gold & Sterling Silver materials. These pieces were a perfect addition to our boho session! Thank you to all of the vendors for making this look complete!